Originally printed in 2008, Flyfisher’s Guide to Arizona provides a comprehensive overview of Arizona's trout fisheries, as well as a selection of the state's warm water fisheries. 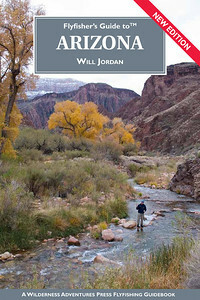 The book was updated in 2012 to include information about the impact of the Wallow Fire upon White Mountain fisheries. It also provides an update on the fisheries management plan within Grand Canyon National Park. 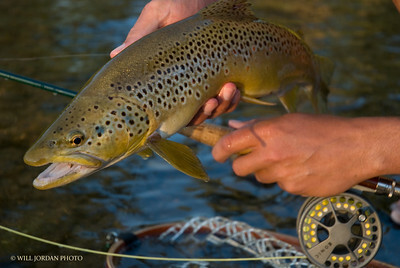 Updates on the Gila and Apache trout recovery efforts have also been provided. Approximately one third of the fisheries descriptions have been amended to include updated trip reports, anecdotes, and information from fisheries biologists. 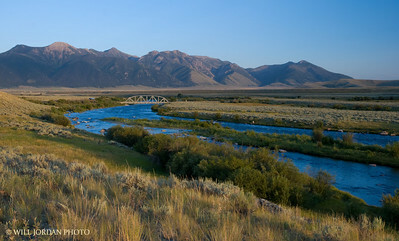 Arguably the most iconic location in fly fishing, Three Dollar Bridge on Montana's upper Madison River is a Mecca for anglers from across the globe. This print makes a great gift for any angler. Printed on archival-quality paper. The print is not matted and is unframed. 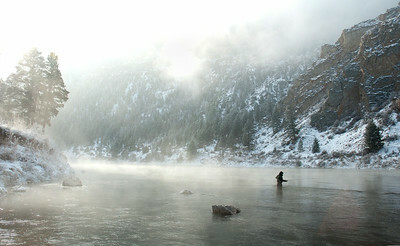 An angler braves winter conditions on the Missouri River in central Montana. This beautiful winter scene makes for a striking large-format print to adorn the home or office of any angler. Printed on archival-quality paper. The print is not matted and is unframed. A pair of large Yellowstone cutthroat trout in a high-elevation tributary of the Yellowstone River. 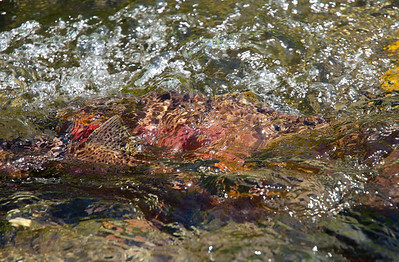 The interplay of rushing water and the vividly colored trout makes for an image that is slightly abstract to many viewers, yet speaks clearly to anglers. A classic angling scene that is sure to bring back fond memories of time spent on the water. Printed on archival-quality paper. Print is not matted and is unframed. 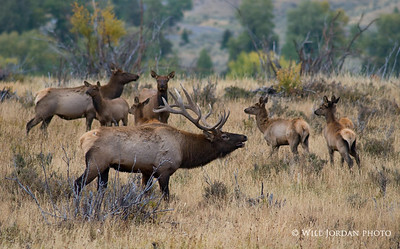 A magnificent bull elk serenades his harem in the Rocky Mountains. This is a scene that many sportsmen dream of and would be a welcome addition to any hunter's den or office. Can't find the photo you'd like to purchase? Any of the images in my galleries can be special ordered. Email me with the size and description of the photo that you'd like to purchase and I will have it printed for you!